I have lots and lots of photos from a recent trip to France. I had originally planned to have several photos on this layout, but the more I arranged and rearranged them, the less I liked the layout. However the photos were really important to my story about discovering that Paul Cezanne had stayed in the same little town and painted the lake in front of the hotel. My solution was to use a large tag to create a fold out section. I folded the tag approximately in half, leaving a bit of room to place a label sticker. My main photo was adhered on the front of the tag using the Best Glue Ever and I slid an arrow paperclip that points towards the plaque in the photo. When you open the flap you find another two photos. The top photo is a sign from the lake about Paul Cezanne. The bottom photo is a close-up of the plaque from the main photo. 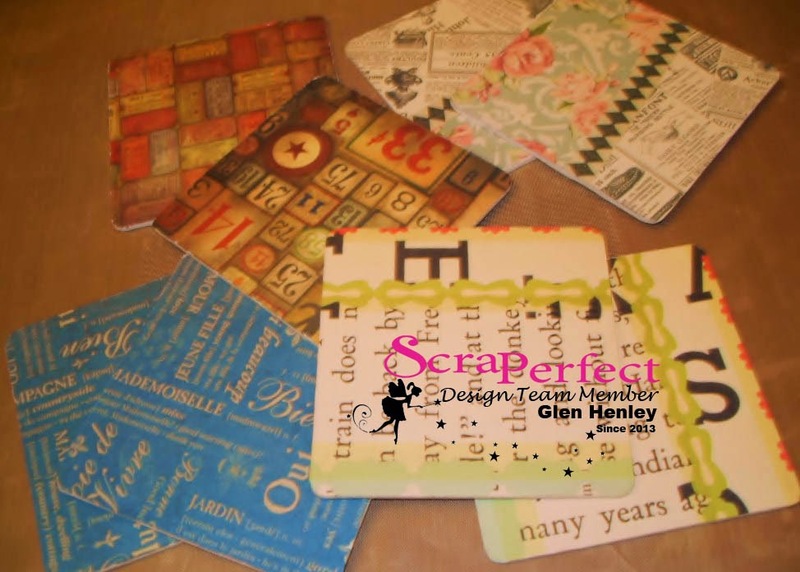 I've stamped several small accent papers with help from the Perfect Crafting Pouch. I originally was going to slide my journaling card into the back of the paper clip, but decided to use a clear pocket instead so I didn't obscure the photo. 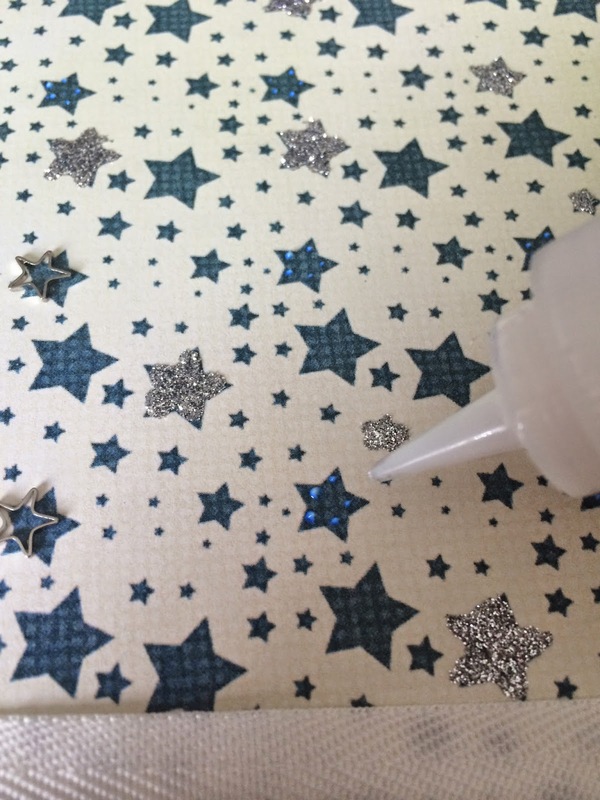 And as always, I couldn't adhere these tiny wooden stars easily without the Best Glue Ever. 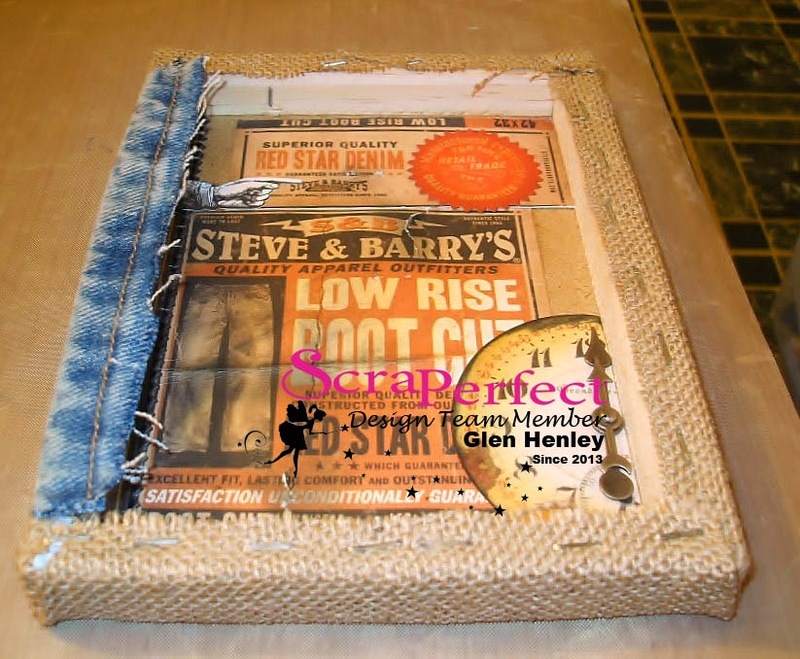 It's Glen here with a nice project and only my second burlap panel. I found an old cardboard tag from a store I used to love. Steve and Barry's was a good store for cheaper jeans and t-shirts and although it was geared towards college age kids, it was still a place that adults shopped for themselves. 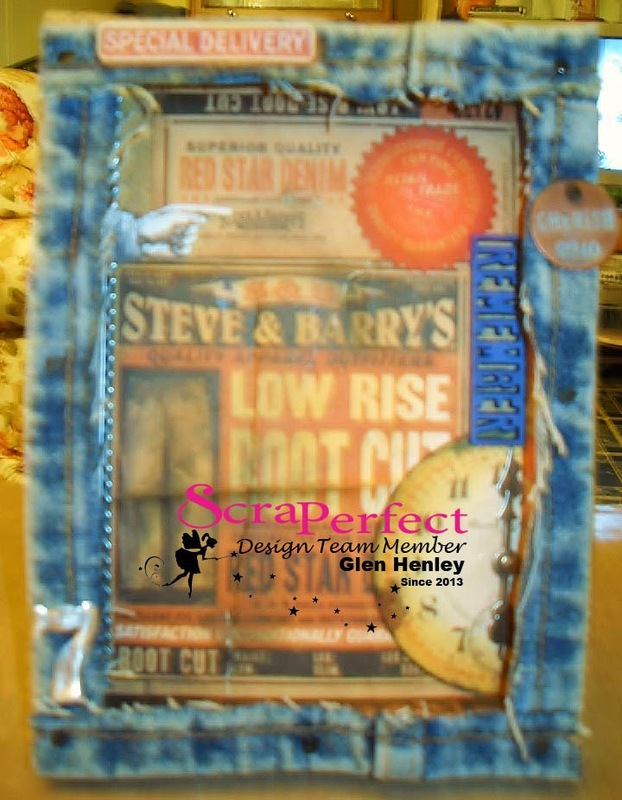 I took a small burlap panel and inverted it and used the Best Glue Ever to adhere it to the inside. 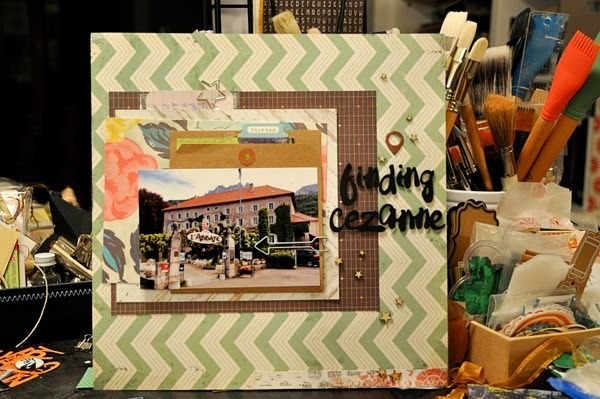 Then I started looking for elements to make the collage without covering up the image I wanted to be the focal point. Then using some denim scraps I started to make it my own hommage to my local store now sadly gone. 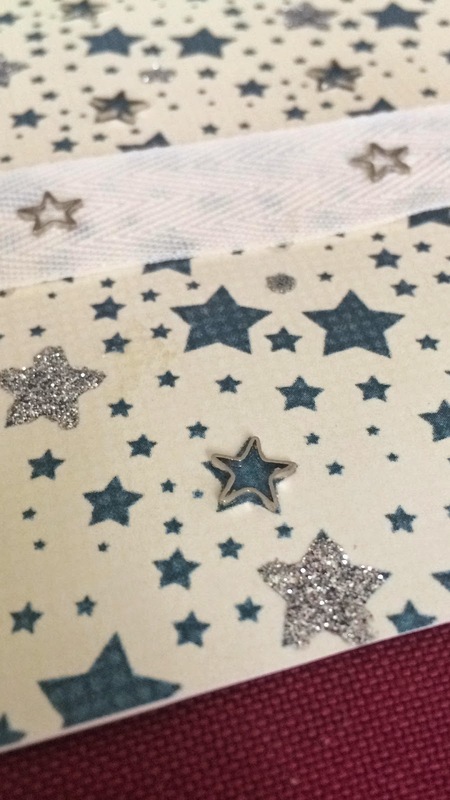 I use some embellishments and papers to help tell the story and of course the No-Clog Writing Cap to apply small amounts of glue to the papers I added. I hammered some decorative nails in for effect and add a few more trinkets to finish it off. 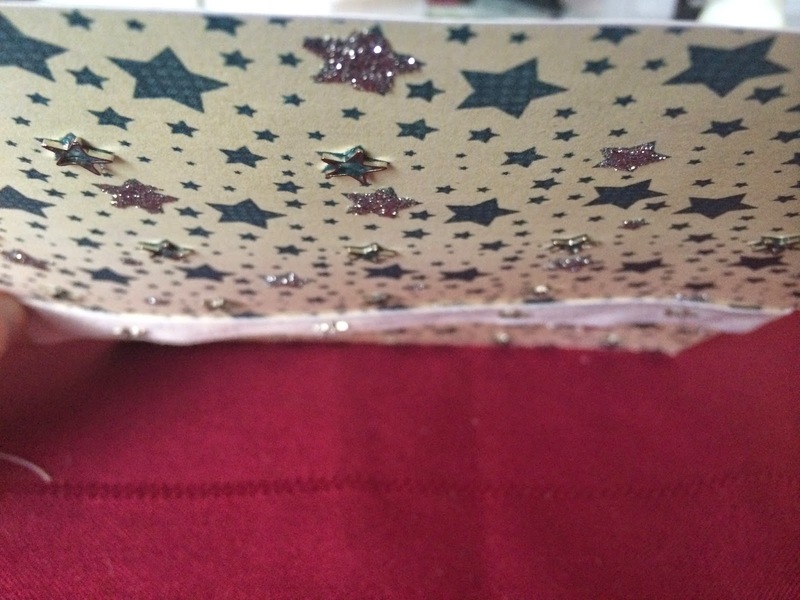 The inside edges are all decorated with papers as well. I guess I am a stickler for areas that no one will see except me. 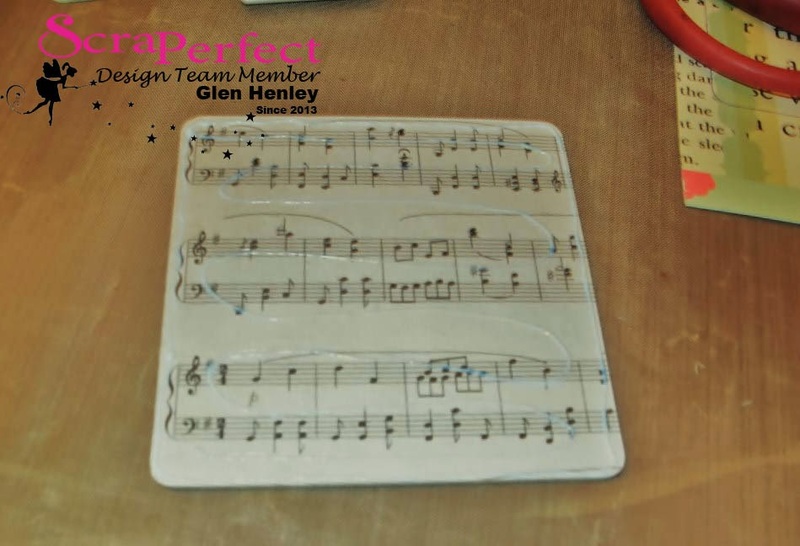 I hope you enjoyed my project and be sure to check out the ScraPerfect site for great products that will make your artistic life easier. 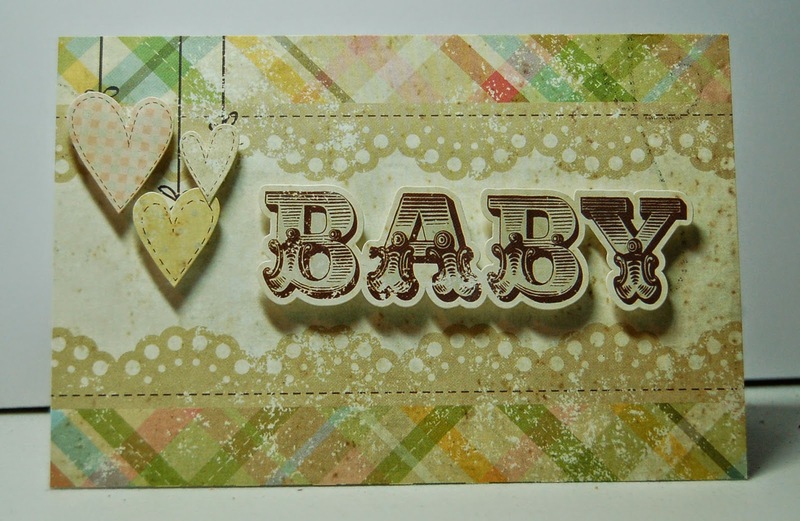 Hello ScraPerfect fans, Michelle, here with a simple card that is perfect for a baby shower gift. 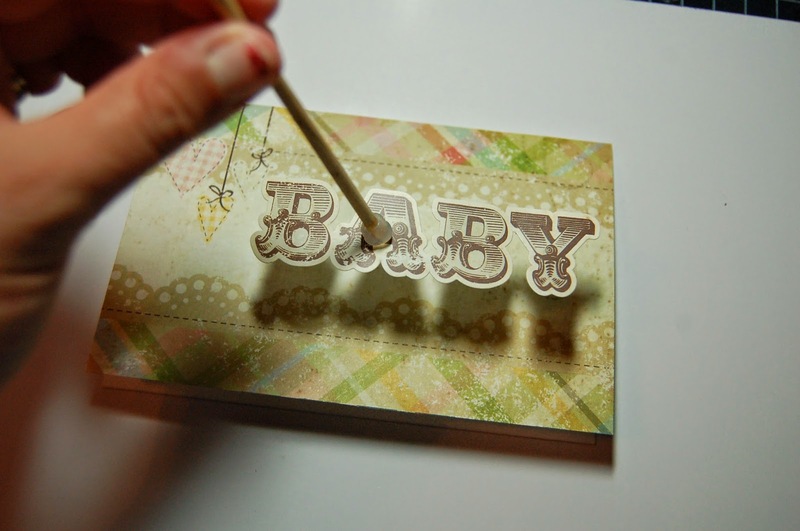 The patterned paper is attached to the base of the card using the Best Glue Ever. Now for the baby sticker I wanted to use a pop up adhesive and needed to take away the sticky on the sticker so it doesn't attract fuzz. To do this I dab the back of the sticker with the Perfect Crafting Pouch. These are great to have on hand to get rid of unwanted sticky. Both sizes are pictured above, the larger has the strap to slide your hand under. 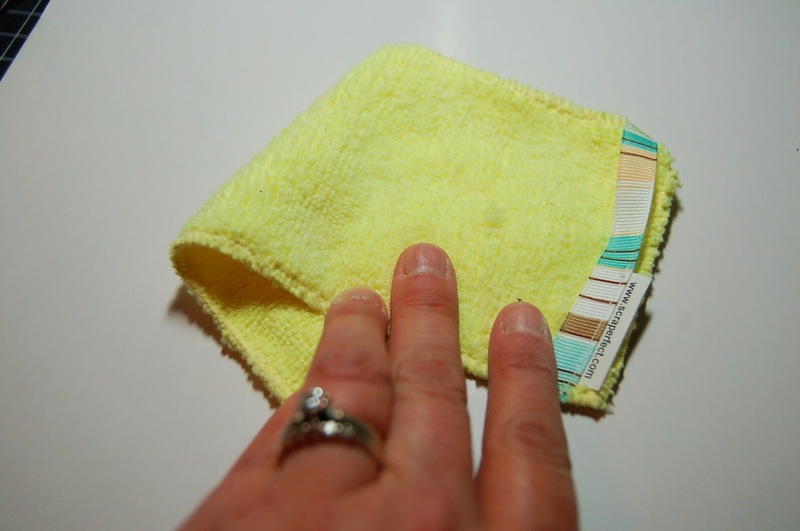 Which I wipe clean with the Perfect Cleaning Cloth. 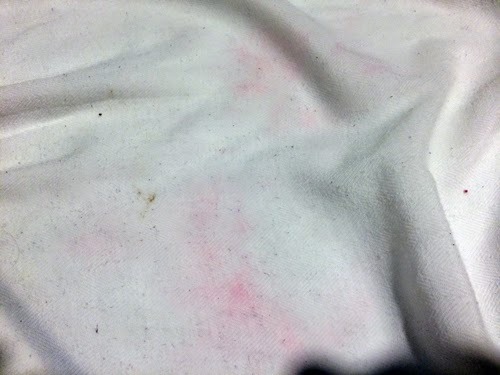 This cloth even go the residue off my hands! After my work space is cleaned up I attached the sticker with pop up adhesive (you can make your own using the Best Glue Ever), and Embellie Gellie. 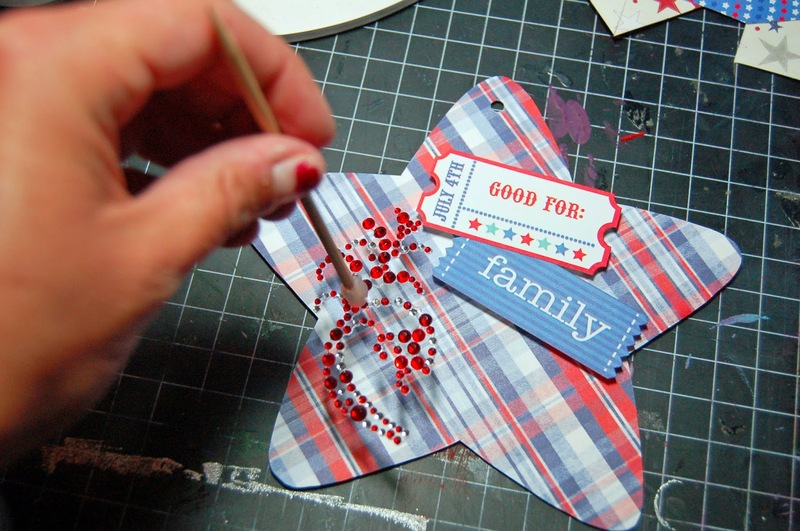 Repeat the same steps for the hearts in the corner and you have a quick, simple card ready to go. Good morning ScraPerfect friends, Steph here today. 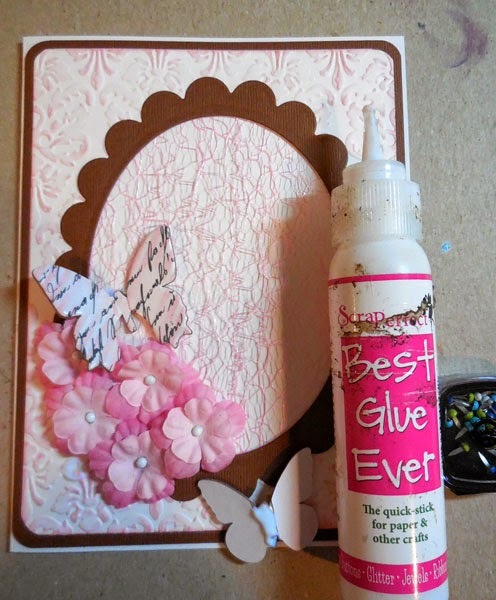 Are you are that the Best Glue Ever is handy for all your crafting needs? No matter what project you are working on, just grab the Best Glue Ever knowing everything will remain exactly where you want them to be. 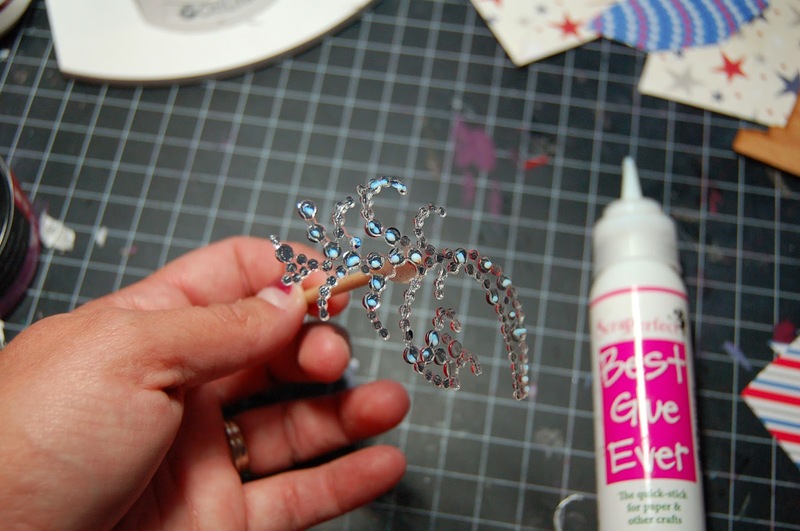 The Best Glue Ever is really perfect for those tiny embellishments that always seem to fall off a project. 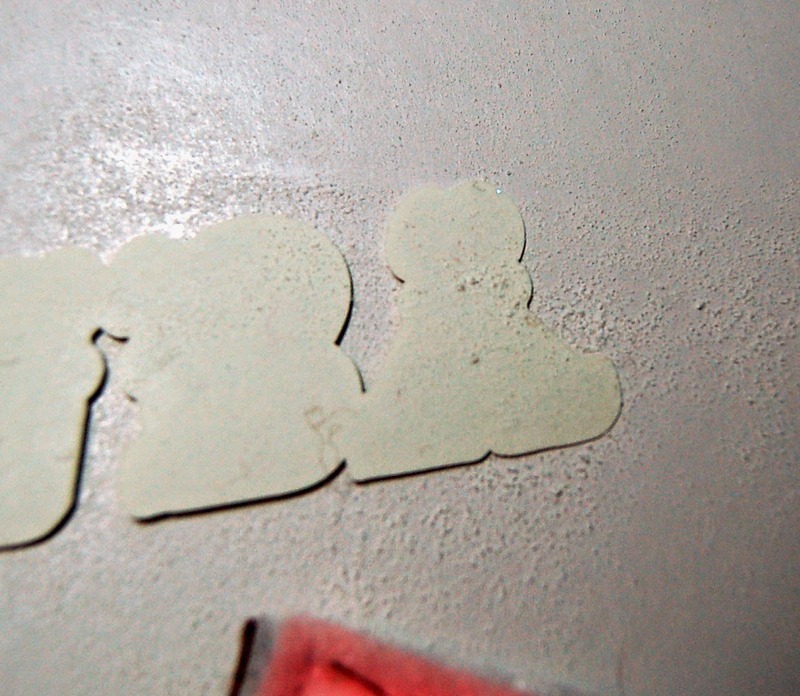 These chipboard butterflies came with adhesive, but they wouldn't stay put. So, just a little dab of the Best Glue Ever and these butterflies will never fly off this card. Since butterflies always leave a trail wherever they go, I added some Robin's Nest Dew Drops with just a drop of the Best Glue Ever. You don't see the glue and those gems are permanently affixed to my card. Any time you need a perfect and permanent hold, select the Best Glue Ever and you won't be sorry! I've been having fun playing with a DCWV cork stack I picked up at Michaels. 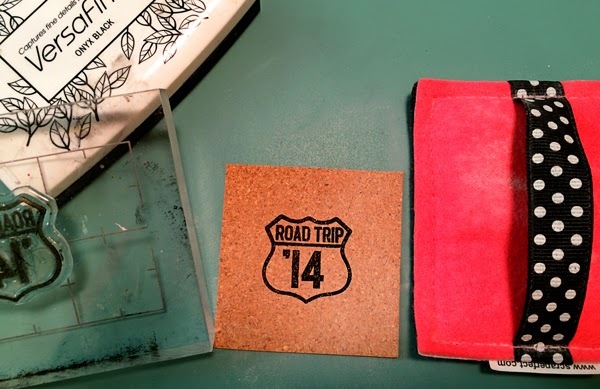 It's easy and fun to stamp on cork -- if you've got the Perfect Crafting Pouch. Just treat your cork by tapping the pouch over the surface before stamping. The powder gives you a crisp, quick drying image. You can then use the Perfect Cleaning Cloth to remove any remaining powder from your cork piece. Once I'd stamped my piece, it was fast and easy to cut around the stamped image to use in my project. And the best way to put it all together was with the Best Glue Ever - cork, buttons, paper and even vellum. You can't tell that I used a tiny "L" of glue in each corner of the vellum to adhere it to the paper. It dries clear, even on vellum. And here's a bonus tip for stretching your supplies. 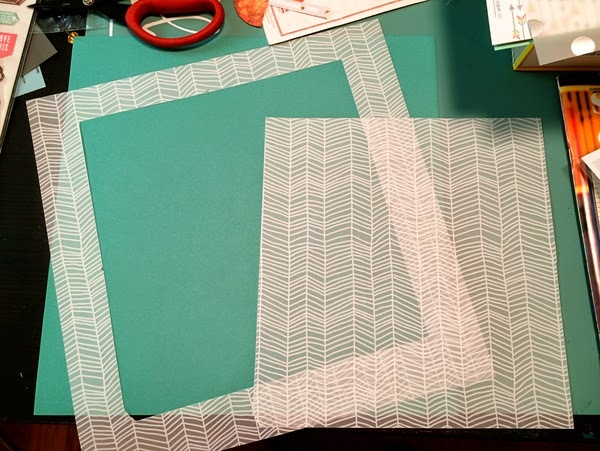 I only bought one sheet of this patterned vellum from Studio Calico and didn't want to use it up on only one project. Before adhering my paper grouping I placed it onto the vellum and lightly marked the edges. 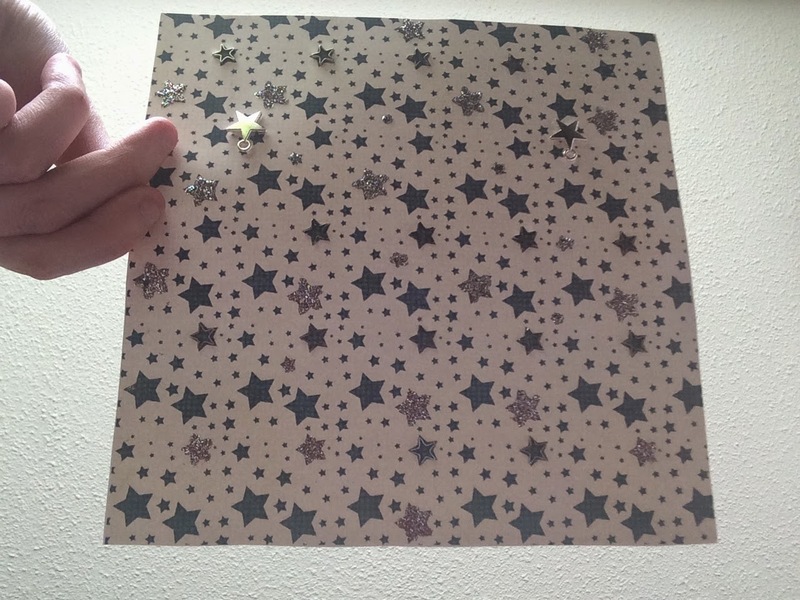 I then cut slightly inside those marks with my paper trimmer. Now I can use the large interior section for something else! 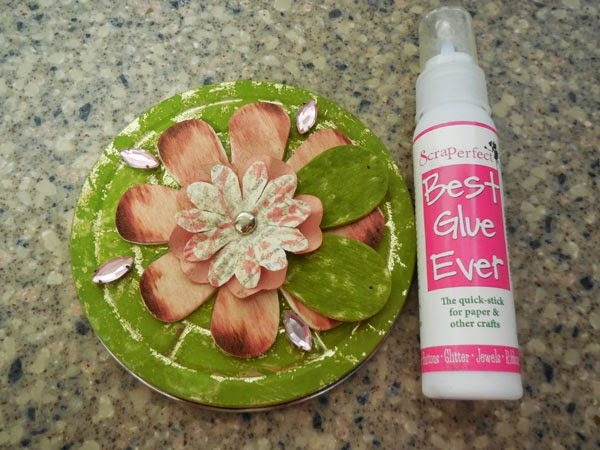 Hey ScraPerfect fans, Michelle here with a fun summer craft. 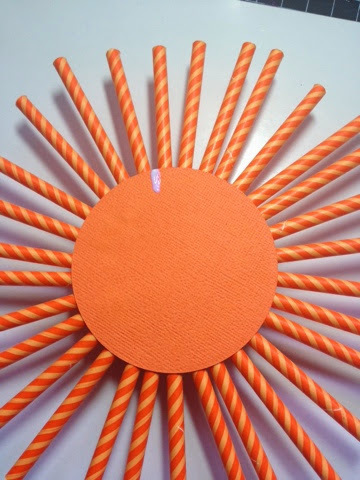 I recently got a great deal on some paper straws and the colors made me think of the summer sun. 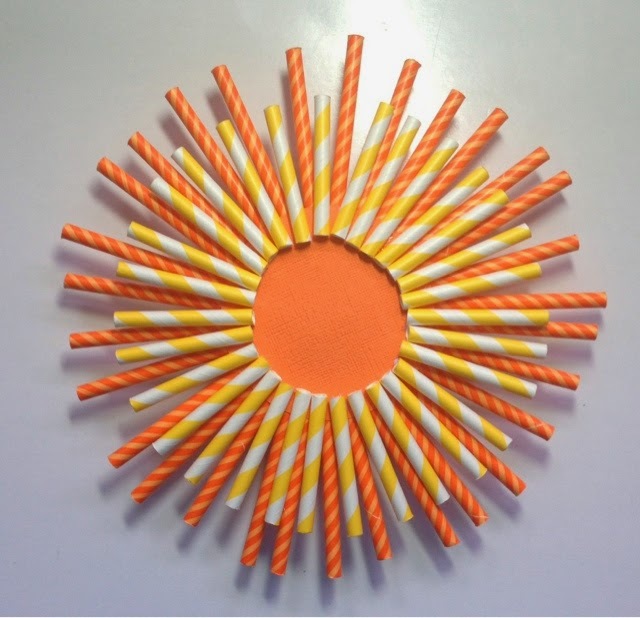 I started by cutting the orange straws in half and gluing them to a circular base using the Best Glue Ever. 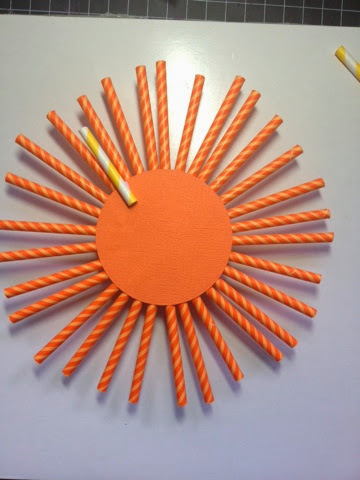 Once the orange straws were attached I attached an orange cardstock circle to the top so I could start the second layer. I cut the yellow straws in thirds and started attaching with the Best Glue Ever. Continue around the circle making sure the yellow straws line up between the orange straws. 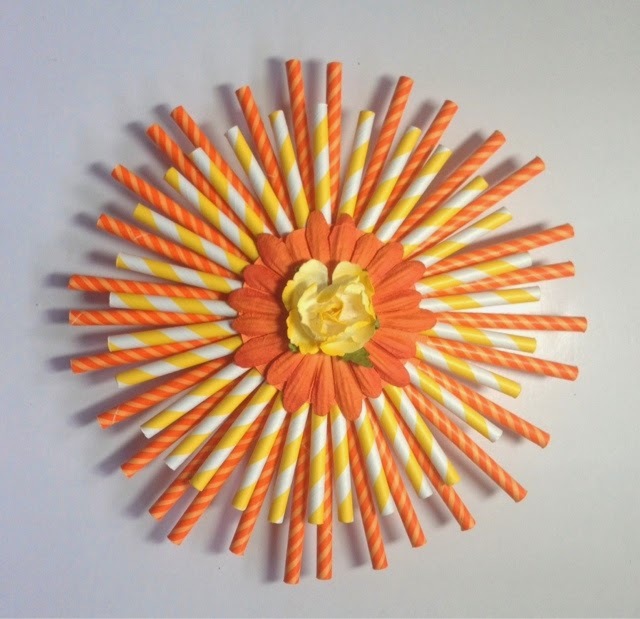 Once the yellow row is complete I attached another orange circle and top with orange and yellow flowers. I picked up this Tim Holtz clock recently and wanted to see what I could do with it. 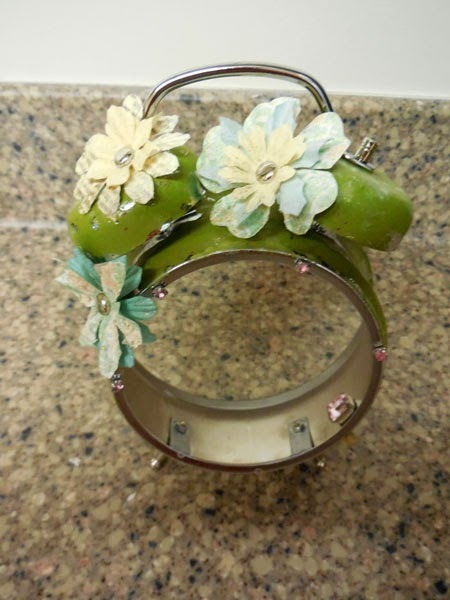 So after painting, sanding and inking, I wanted to embellish it with gems and flowers. The Best Glue Ever was the perfect adhesive for this task. A little drop of the Best Glue Ever on the back of the brads was all that was needed to adhere the flowers to the clock. I just needed to hold it in place for a few seconds. The Best Glue Ever was especially helpful around the rim of the clock. No slipping or sliding off. 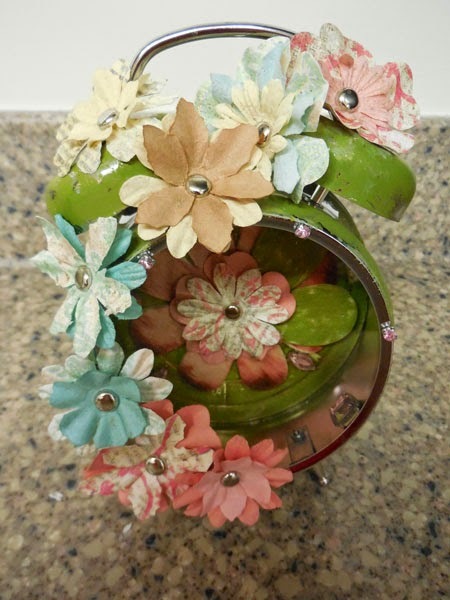 The back of the clock could be decorated separately so after painting, I added a large chipboard flower, more paper flowers and then some gems all with the help of the Best Glue Ever. 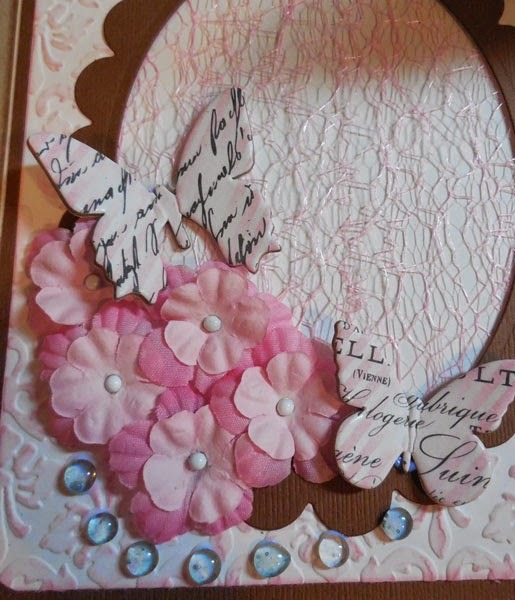 So much fun to do and a pretty altered piece for my craft room. Back at the end of February I wasn't thinking too clearly and grabbed my favorite white tablecloth to use in my Girl Scout troop's Thinking Day display. The display looked wonderful, but I forgot that 4th grade girls were going to be stamping using red archival ink. 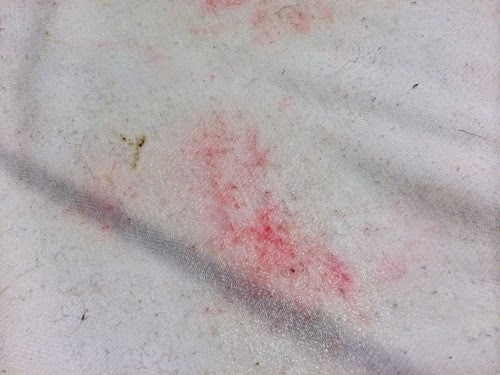 One of the girls would not leave the ink pad alone and before the event had officially started had managed to get red ink smeared on the tablecloth. And that was just the beginning. 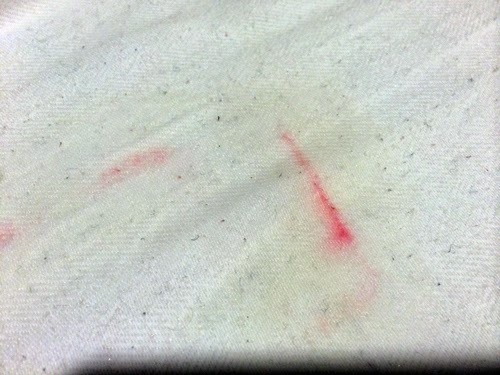 By the end of the day I had two large red areas of smeared ink on my formerly white tablecloth. To top it all off it was right in the throws of our cookie season, so the tablecloth got thrown on the laundry room floor and forgotten about - for four months. 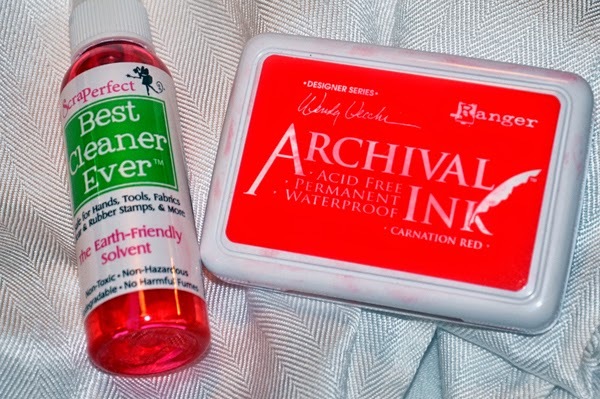 I "discovered" it recently and decided to see if the Best Cleaner Ever could remove ink that had been sitting so long. The tablecloth was slightly damp, as my laundry sink had overflowed due to a errant sock (which is how I found the tablecloth). I sprayed all the inked areas with the Best Cleaner Ever and let it sit for about an hour or so. Immediately the ink started wicking. After an hour it had significantly lightened. And in this one, you can see the yellowish color of the Best Cleaner Ever and the link of ink starting to dissolve. 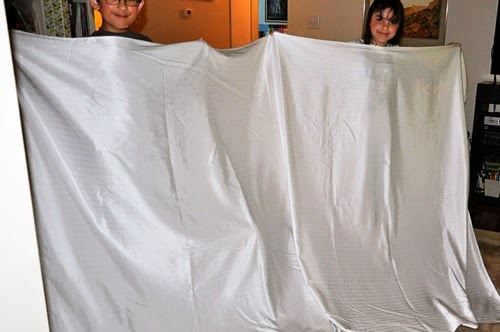 After sitting for several hours I washed the tablecloth in warm water. Everything -- EVERYTHING -- came out! It's hard to tell in this after photo, but there is absolutely no ink left on the fabric. 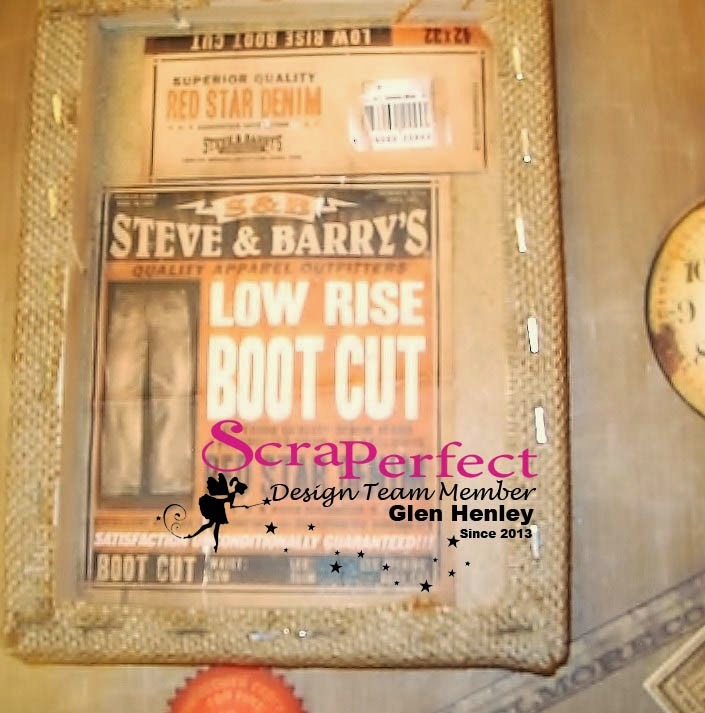 It's Glen here with another new project featuring the products from Scraperfect. Let's take a look at a cheap way to make something distinctively your own. I found some cheap coasters at T.J Max and decided to give them a unique look. 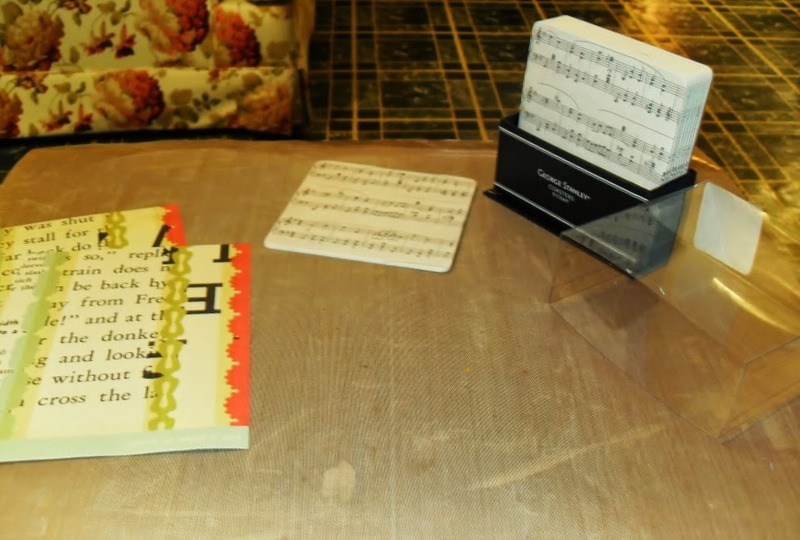 I took some paper scraps and used the Best Glue Ever to adhere them to the coasters. Once dried, I trimmed them to fit, trying to cut only the paper and not the coaster!! After trimming I used the Perfect Crafting Pouch to work the edges and take the sticky feel off the coaster edges. Now these are ready for further alterations!! Be sure to check back with us to see more projects using products from Scraperfect. 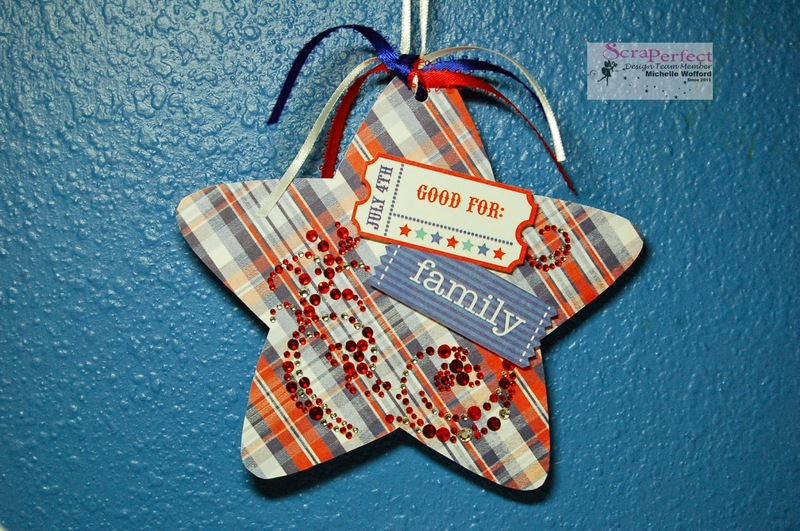 Hey ScraPerfect fans, Michelle here to say Happy Independence Day with a little 4th of July project featuring how to use the Best Glue Ever to make not so sticky stuff sticky. 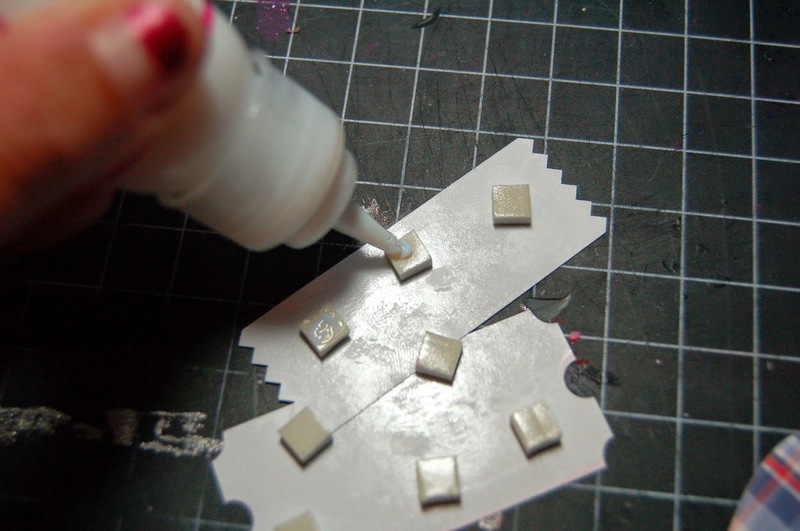 Specifically using the Best Glue Ever to add some stick to old adhesive foam and some bling to help them do their job. 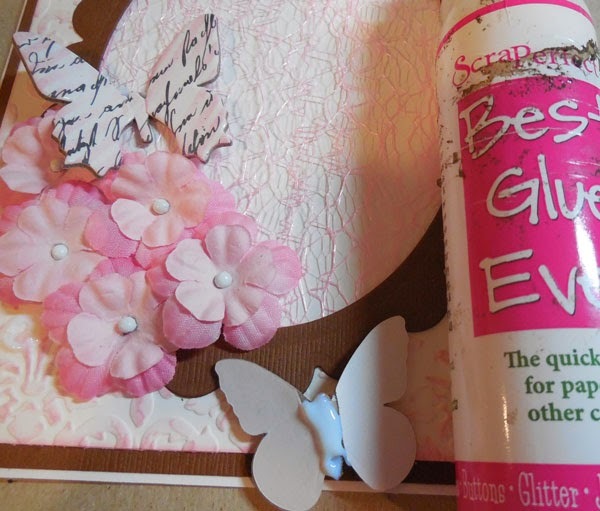 Start the project by adhering patterned paper to the chipboard base using the Best Glue Ever. 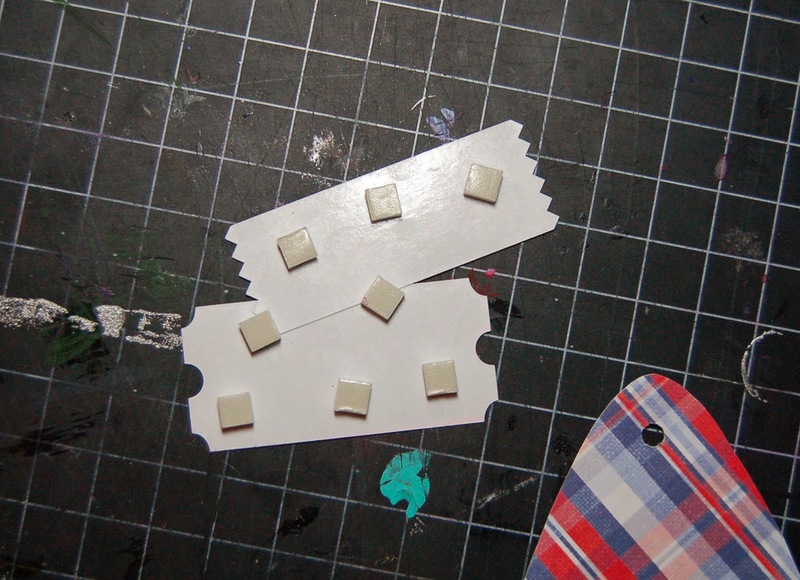 I got these foam adhesive squares awhile back, they aren't as sticky as they once were but I don't want to throw them out because they are still good to add dimension to projects, they just need a little help. Help from the Best Glue Ever! Now, you can make your own pop up adhesive with the Best Glue Ever, but this is a great alternative when you need something right away. Just add a bit of the Best Glue Ever to either side of the not so adhesive square to make it sticky again. 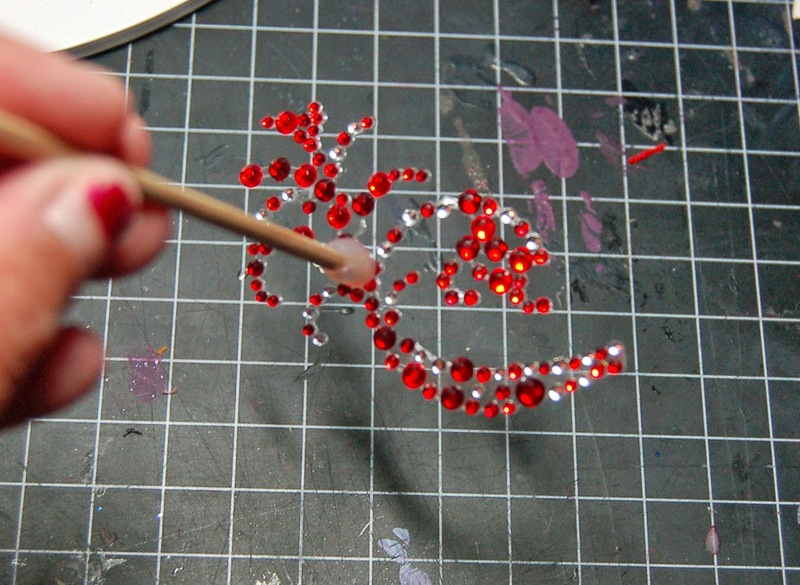 The other piece I want to show you is on a piece of rhinestone flourishes. Some of these flourishes will be easier to work with than others but use Embellie Gellie to hold the flourish while you apply adhesive to the bottom. The Best Glue Ever is great for these little round pieces. The tip is the perfect size so it allows for easy application and don't have to worry about getting too large of adhesive spot. Then use the Embellie Gellie to place the flourish on the project. Good morning ScraPerfect fans! 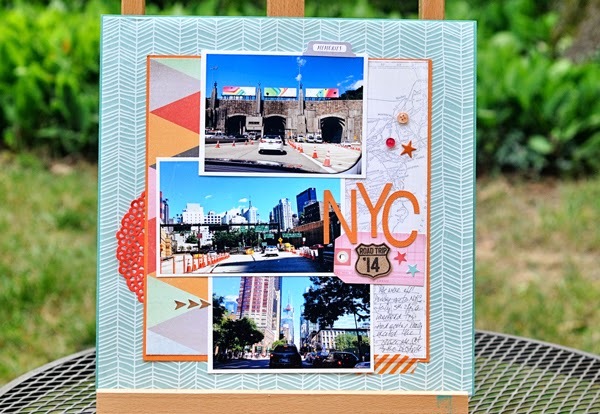 Chelsea here with a scrapbook page layout. 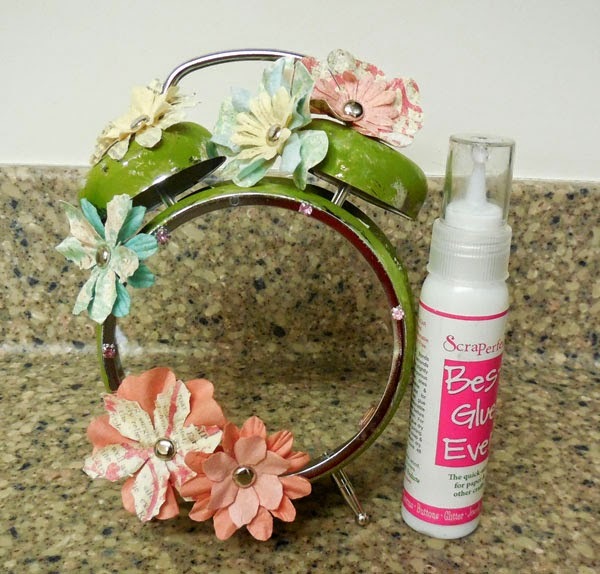 The Best Glue Ever is fabulous when attaching metal charms. It secures them with a tight bond. Let's jump into our project! 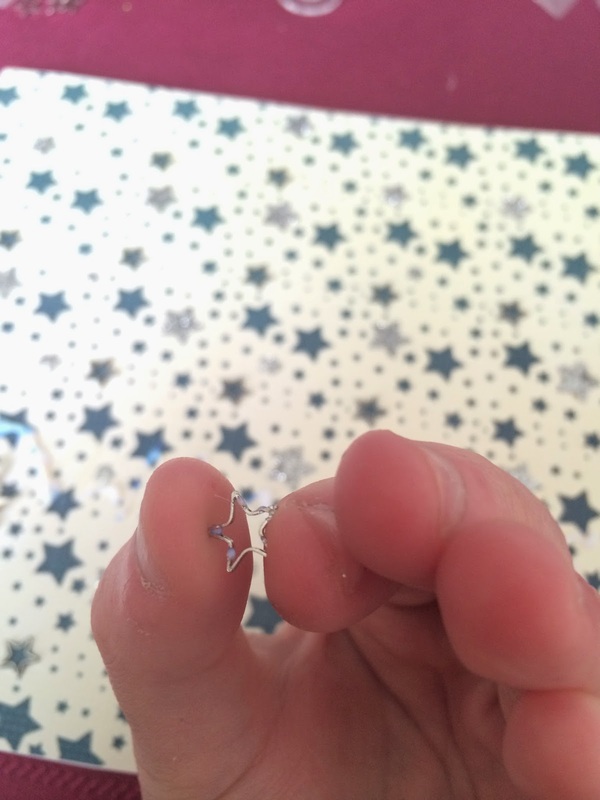 Embellishments - metal charms can sometimes be heavy for paper but with the Best Glue Ever it's a breeze. Apply the BGE to the back of your charm and let dry clear. Once BGE is clear, press your charm firmly into place. The strength of the BGE is unbelievably strong. 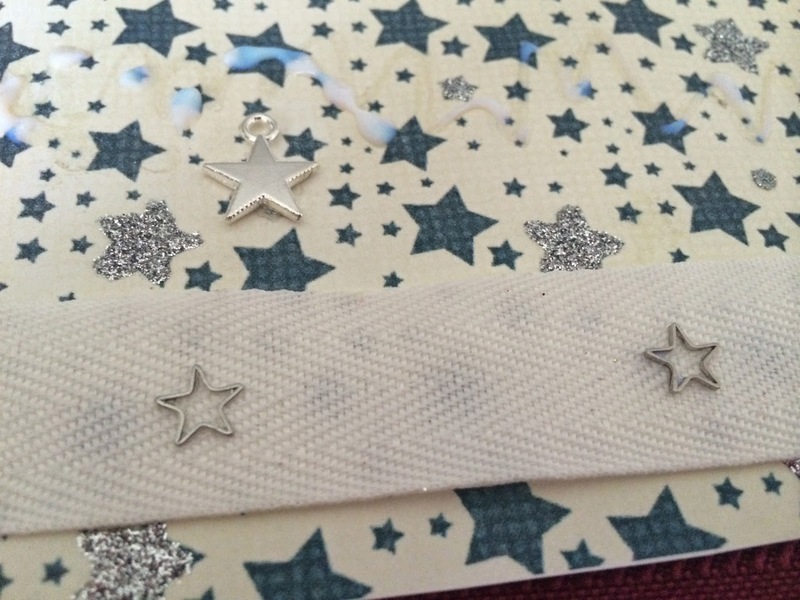 Check out the paper that is turned upside down after applying the charm! 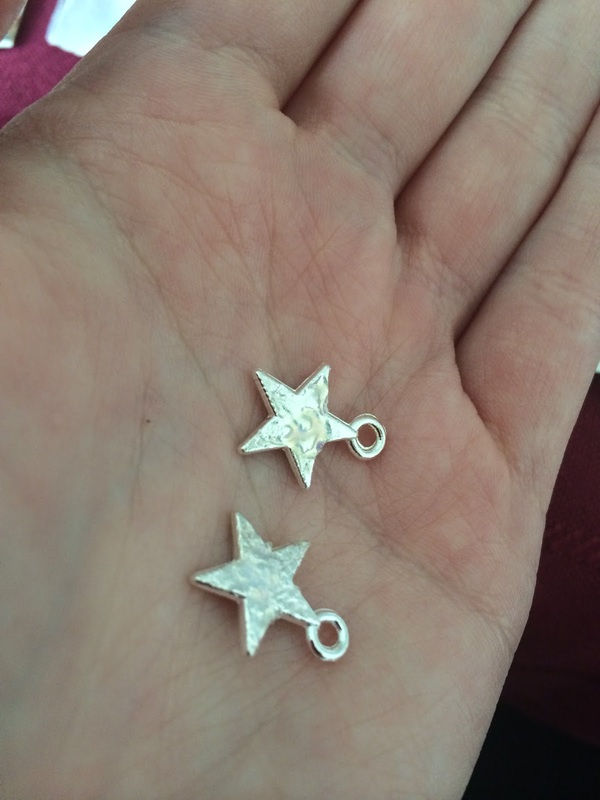 The smaller charms can be directly applied to the paper. Remembering, a little glue goes along way. Place a dot of BGE where you would like your smaller charms to be adhered. Let your dot of BGE dry clear before applying your small charm. Once your BGE dot of adhesive is dried to the clear state press your small charm firmly into place. 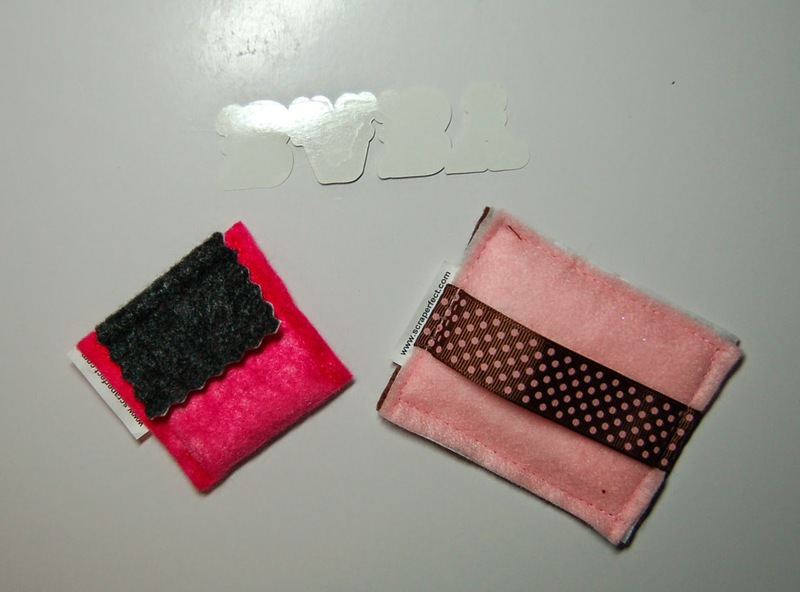 For the charms on the ribbon, I placed a touch of glue on the charm itself and left it for approximately 20 seconds. Then I placed the charm directly to the ribbon. Attaching ribbon to paper is easily done. Apply a thin layer of BGE to your paper and let it dry completely clear. 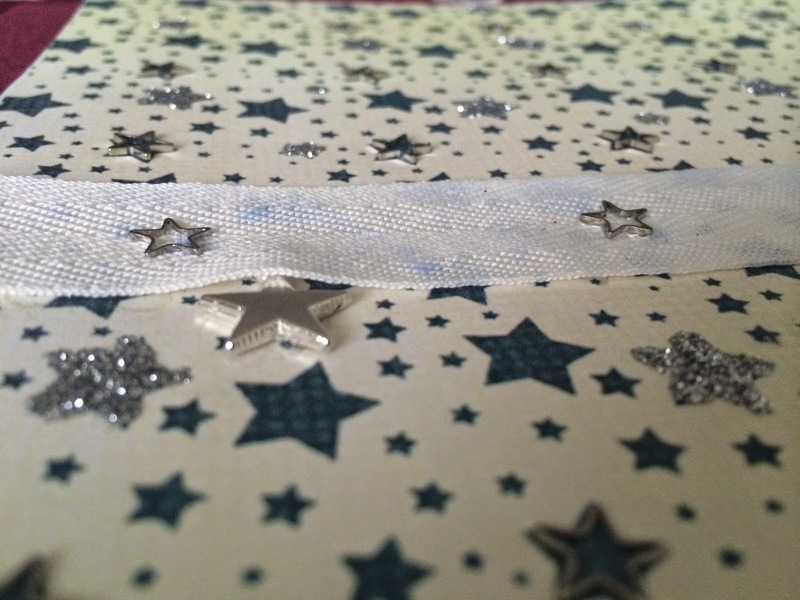 Stretching you ribbon out tightly, lay it down on your crafting/scrapbooking paper and smooth it out with your hand. Everything adhered quickly and easily with the BGE with a strong hold! It doesn't end here! Apply scrabble game pieces or any heavy embelishments the same way! Possibilities are endless! Thanks for stopping by! 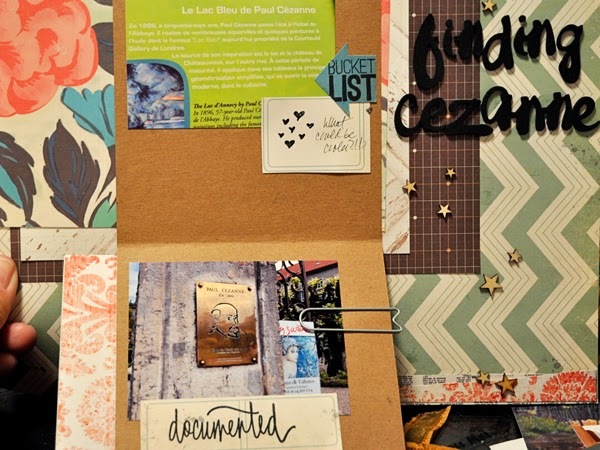 Upload your projects to the Facebook page! We would love to see it!